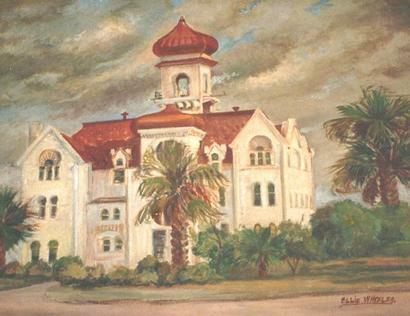 Aransas County Courthouse, Rockport, Texas. 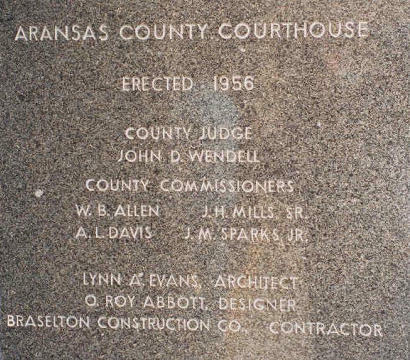 "Demolition of the 1956 Aransas County courthouse began on February 22, 2018 and was completed in March." - Terry Jeanson, July 2018. 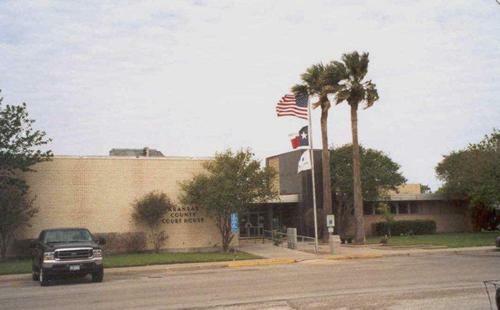 The Aransas County courthouse was severely damaged by hurricane Harvey when it came ashore at Rockport on August 25, 2017 with estimated winds at 140mph. 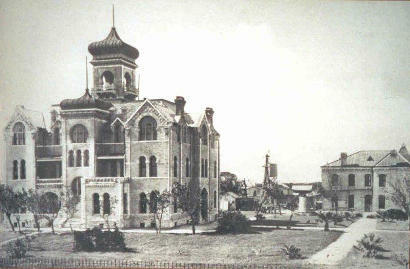 As a result, the courthouse has been condemned. - Terry Jeanson, October 4, 2017. 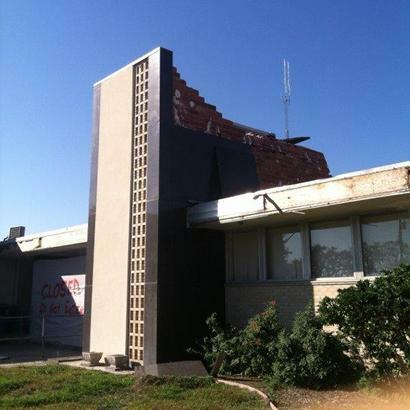 Aransas County courthouse damaged by hurricane Harvey. This photo shows intersecting tower on the courthouse with many missing granite panels. 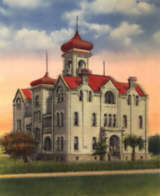 "Another view of the Aransas County courthouse with the 1980s addition on the right." Designed by J. Riley Gordon whose other courthouses include the Counties of Bexar, Comal, Ellis, Erath, Fayette, Gonzales, Hopkins, Lee, Victoria and Wise. 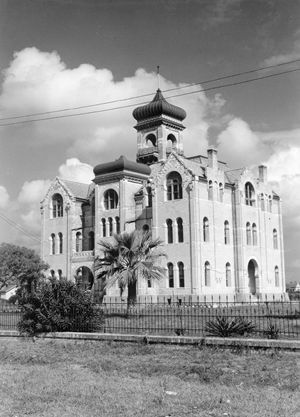 Rockport had been the seat of Refugio County until the creation of Aransas County in 1871. This ornate Moorish design enjoyed popularity for a time. Architects, particularly those from the eastern U.S., somehow associated palm trees and severe humidity with north Africa and southern Spain. Most of Gordon's designs took climate into consideration, providing ventilation through placement of doors with a central tower.